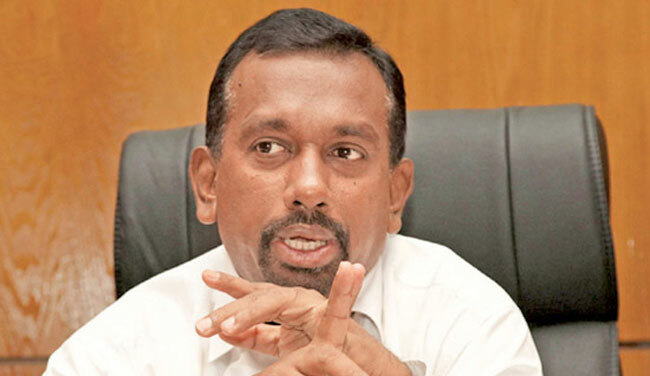 Former Minister Mahindananda Aluthgamage yesterday said that they would not leave the party if President Maithripala Sirisena forms a SLFP led government by appointing former President Mahinda Rajapaska as the Prime Minister. "We will not leave the SLFP if the President forms a SLFP led government," he said. He said that the common opposition will take a right decision, after the election is declared by the government. "The joint opposition is waiting for the right time to take a crucial decision," he said. Aluthgamage insisted that members of the common opposition will remain in the SLFP, if a SLFP government is formed by the President. He made this observation addressing the media yesterday at N.M.Perera Centre, Borella. He said that the Prime Minister is responsible for this catastrophic situation since the country is now ruled according to his agenda. Minister said that Prime Minister Ranil Wickeremesinghe didn''t have the people's mandate to be the Prime Minister of the country. "Ranil Wickremesighe became the Prime Minister illegally without following the constitutional procedure. On August 17. 2015 also people didn't give a convincing mandate to be the Prime Minister and they couldn't secure at least 113 seats," he said. He also said that a mandate had been given to President Maithripala Sirisena to rule this country. But now Prime Minister Ranil Wickremesinghe is ruling the country without considering about the mandate given by the people of this country on January 8, 2015. He also alleged that the country is now implementing the Regaining Sri Lanka programme. Though people gave mandate to President Maithripala Sirisena, the UNP's programme is currently being implemented in the country. He further said that only Prime Minister Ranil Wickremesinghe wants to sign the ETCA with India. President Maithripala Sirisena has never expressed his opinions about it. "The government had failed to provide benefits to the people as promised prior to the election. If anybody raises their voice against the government, the Prime Minister labels them as thieves or tries to suppress them," Aluthgamage said. "The Prime Minister should understand that he is the Prime Minister of Parliament and not the zoo. Therefore, he should behave properly in Parliament without addressing people by using the names of animals," the minister added. He further added that the government is using Minister Ranjan Ramanayake to level false allegations against the people who raise their voice against the government. Galle District MP Ramesh Pathirana, Anuradhapura District Shehan Semasinghe and Hambantota District MP D.V.Chanaka also addressed the occasion.